Boasting incredible views, our Vajrapani villa is one of the most tranquil places to stay in Bali. The name of this beautiful villa is derived from the Buddhist teaching and in Sanskrit means enlightenment, limitless, compassion, wisdom and skill. Why Stay in Villa Vajrapani? As you enter the Sukhavati estate and walk down the stairs, this luxury villa is located to your right, overlooking the estate’s main swimming pool. This is a private villa with a lot of natural light, creating a sense of openness. 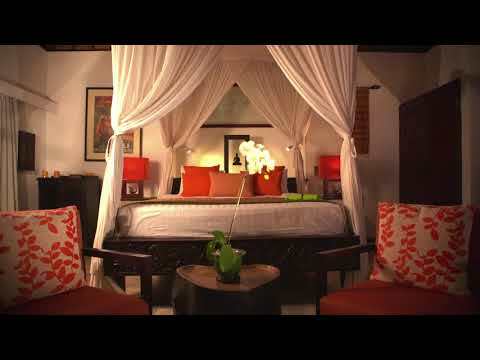 Other features include marble floors and a traditional Balinese four poster bed for an added touch of luxury. Enjoy breakfast on your balcony while gazing at the beautifully carved Buddha in the rock cliff face or looking over the peacefulness of the estate. All of our wonderful villas include Sonos speakers for you to use during your stay. For more information on this holiday villa, please email rejuvenation@sukhavatibali.com or submit an enquiry online.